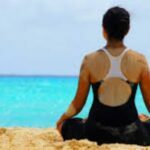 Western research is now proving what yogis have known all along: Breathwork can deliver powerful mind and body benefits. In this three-part series, learn how and why to take better advantage of it both in practice and in life. Despite the inherently automatic nature of breathing, most people have a lot to learn and improve upon when it comes to the most basic of our physiological functions. We tend to huff at a fairly quick clip most of the time—anywhere from 14 to 20 breaths per minute is the standard, which is about three times faster than the 5 or 6 breaths per minute proven to help you feel your best, says Patricia Gerbarg, MD, assistant clinical professor of psychiatry at New York Medical College and co-author of The Healing Power of the Breath. “There is a very direct relationship between breath rate, mood state, and autonomic nervous system state,” says Sat Bir Singh Khalsa, PhD, assistant professor of medicine at Harvard Medical School who studies yoga and meditation. The autonomic nervous system governs the body’s sympathetic (fight-or-flight) and parasympathetic (rest-and-restore) responses, dialing functions like heart rate, respiration, and digestion up or down as necessary in response to potential threats. Evolutionarily, this worked as a survival mechanism, but today’s nonstop barrage of smartphone pings, emails, and news updates also trips the body’s alarms—and often. Here’s how researchers think it works: With each breath, millions of sensory receptors in the respiratory system send signals via the vagus nerve to the brainstem. Fast breathing pings the brain at a higher rate, triggering it to activate the sympathetic nervous system, turning up stress hormones, heart rate, blood pressure, muscle tension, sweat production, and anxiety. On the other hand, slowing your breathing induces the parasympathetic response, dialing down all of the above as it turns up relaxation, calm, and mental clarity. Ready to tap into the power of pranayama? We’ll teach you the ins and outs of O2 and CO2, so you can improve daily breathing both on and off the mat. Follow along to see what happens during one long, deep inhalation and exhalation. As you breathe in, the diaphragm (the dome-shaped muscle that primarily powers the breath) contracts, lowering and flattening. This increases the volume of the thorax (chest cavity enclosed by the rib cage), which not only makes room for the air coming into the lungs but also changes the atmospheric pressure inside the lungs, pulling air in. That air travels through your nostrils and into your nasal cavities, down through your pharynx (throat) and larynx (voice box), and into your trachea (windpipe). Next, it gets routed through the bronchi (passageways leading to the lungs) and bronchioles (passageways less than 1 millimeter in diameter) and into the lungs. Once in the lungs, the air reaches the alveoli (small air sacs), which serve as the marketplace for gas exchange: Oxygen (O2, the food your cells need to produce energy) is traded for carbon dioxide (CO2, the waste produced by energy production in cells) into and out of the bloodstream. Inside cells, mitochondria (the energy-production centers) use oxygen to burn sugars, fats, and proteins for energy, and CO2 is a byproduct of this process. CO2 is biochemical waste—you don’t need it—so your body starts the process of shuttling it out. CO2 travels through cell walls into the capillaries and then veins that carry CO2-rich blood to the right atrium and right ventricle of the heart. Next, the right ventricle contracts, pushing the CO2-rich blood out of the heart through the pulmonic valve into the pulmonary artery and back toward the lungs. As the blood enters the alveoli, the CO2 leaves the bloodstream and passes into the lungs. The diaphragm relaxes, decreasing the volume of and pressure in the thorax, and initiating an exhalation. Meanwhile, the heart rate slows, decreasing blood flow to the lungs and discouraging gas exchange while the lungs are still full of CO2-heavy air. The pressure change in the lungs forces the air and CO2 waste back up and out of the lungs into the trachea, through the larynx, pharynx, and nasal cavities, to be exhaled through the nostrils. “Getting rid of carbon dioxide, not bringing in oxygen, is the main stimulus that drives us to breathe under most circumstances,” Cole says. In other words, your body’s drive to boot what it doesn’t need is greater than its drive to acquire what it does. This is because too much CO2 makes the blood more acidic, which can impair the function of all of your body’s cells. Your brainstem is finely tuned to maintain the pH of the blood, so when the pH skews more acidic, it triggers the stress response and sends an urgent message to the diaphragm to initiate a breath to bring in more O2 and rebalance the blood. Look out for Part 2: Transform Your Practice With Better Breathing.